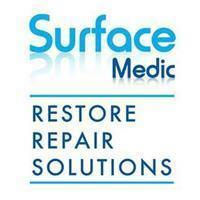 Surface Medic - Surface Repair based in Croxley Green, Hertfordshire. Minor damage in your home or workplace, whether it be general wear and tear or accidental damage, can look unsightly. Surface Medic St Albans can resolve this by offering a repair service that can deliver excellent results on practically any hard surface. By using the very latest and up-to-date technology, we can achieve the best results. Broken, chipped or cracked marble, either in the kitchen, fireplace or flooring. These are just a few. If you can’t see what you require, please call us to ask. All work is assessed for a colour match and is offered as close to the original as possible. Why Surface Medic St. Albans? All our technicians undergo an intense in-house training programme, from leading experts. The training they receive is regularly updated to keep up with the newest materials and techniques available. So why not give us a call to discover just how much we can save you by having a repair rather than replacing your damaged property. We guarantee to be up to 70% cheaper than replacing and 100% more convenient.